It’s Corn Week over here at Sodium Girl and to start off this Monday and ramp up this corn fest, I thought it wise to begin with something simple in order to (a) get our corny juices flowing and (b) give me time to actually wake up – I am only two sips deep into my sodium-free coffee and I feel it would be dangerous to talk about anything that requires heavy lifting or sharp knives. As I described last week, my first foray into corn was eating it in its most traditional form – on the cob. My dad would cook this nobby vegetable according to its color: yellow was delicately charred on the grill and the white variety was typically soaked in a milky bath on the stove. And if you’ve never boiled white corn in milk before, find yourself some low sodium soy or coconut milk and give it a go. It’s outstanding. But I digress. It wasn’t until I started going to some local festivals, farmers markets, and fairs that I discovered a new way to spice up the classic, grilled preparation. 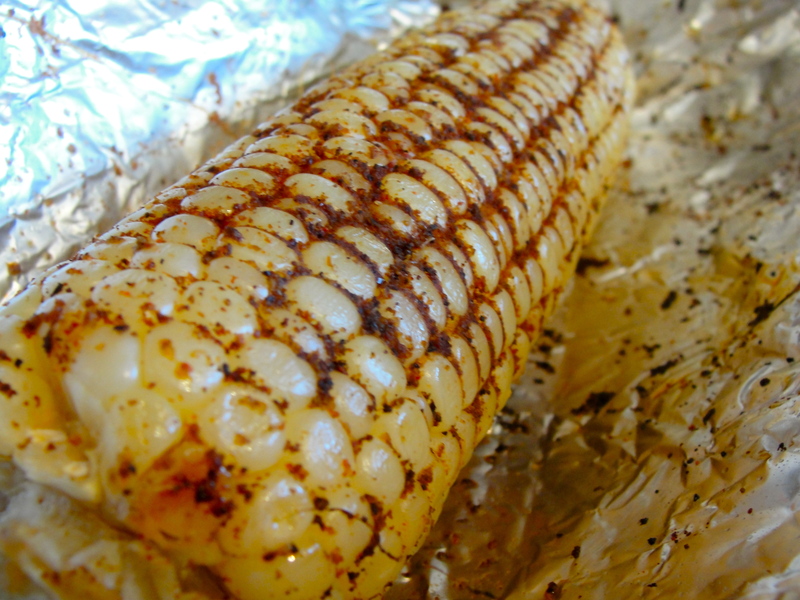 These maize moguls would wrap their corn in foil, grill them, slather it in butter or oil and then – and here is the ingenius part – direct you to a table of spices at which you could sprinkle and spackle the delicious yellow brick road to your tummy’s content. You don’t need roller coasters and carnival games, though, to get this made-to-order corn treat. 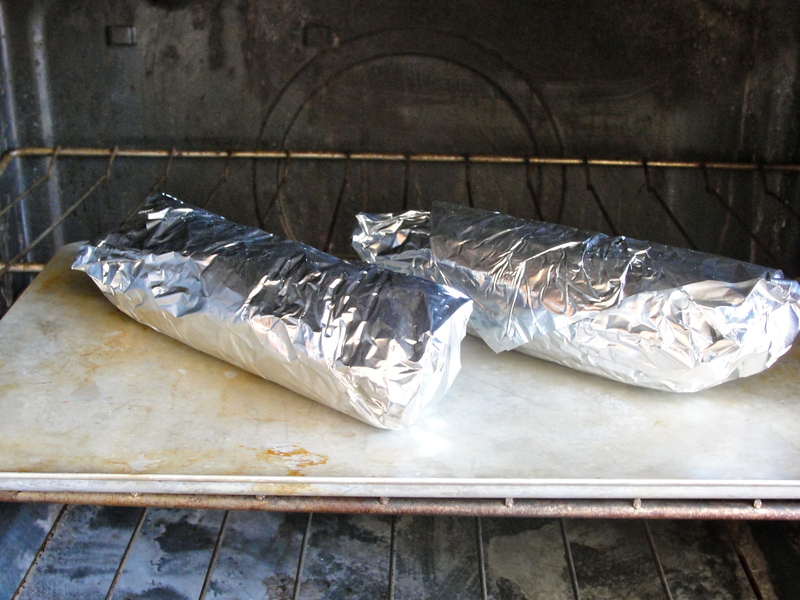 It can be easily recreated at home with corn, tin foil, oil, spices, and an oven. That’s it. And when you’re in your own kitchen, you aren’t beholden to someone’s table of spices (or lack there of). You can get experimental. Remember, these are just suggestions. And with a culinary canvas like corn, you really can’t go wrong. Even chocolate powder with some cayenne would probably taste good, like mole on the cob. So set your oven to 400. Clean your corn of the husk and roll it in oil. Mix your spices and rub away. Package neatly in some tin foil. And let it bake for 45 minutes to an hour. When the timer is up, you’ll find a steaming package of corn that can be eaten as a snack or a side. And if refrigerated, it will even taste good (cold!) the next day. So that’s it for day one of Corn Week and remember, you have until tomorrow night to vote for Friday’s recipe. Check out the poll in last Friday’s post and make sure your low sodium voice is heard. Yes we corn! Mmm looks good. I’ve heard that this year’s corn harvest was late, is that the case and why we are seeing all this corn so late in the summer? Yes, a lot of summer produce (like heirloom tomatoes) were a little late this year because of the colder weather and they also seem to be lasting in the market longer. So even though it doesn’t feel like summer in SF, at least it tastes like it. Mmm-mmm is right. I think I will head right over to WF and get a few ears to try out some of these rubs tonight. That is some dirty dishy!